My story begins in the 4th grade, when I was at the mere age of 9. My mom was doing my hair for school and she found my first bald spot. She had no idea what it was, so she took me to the first of many dermatologists. This man told my mother that I use to much hair product in my hair, and that was why I had a bald spot. As more hair started to fall out, my mother got more concerned so we went to another doctor. This doctor told us that it was because I wore my hair in pony tails and it was putting too much stress on my hair. Finally my mother took to the internet and found that I could possibly have Alopecia. And again, we went to another doctor. Finally we had a diagnosis, Alopecia Areata. He wanted me to get shots of corticosteroids directly into my head. Well, anyone that knows me knows that I hate needles. In fact, what 9 year old likes shots? After finding out some pretty negative side effects and only a 50 percent chance of hair growth, we voted against the shots. I did go to another dermatologist and tried everything out there from creams, to lotions, to shampoos, to oral steroids, and nothing seemed to work. So, I gave up on treatment and decided to let it be. The kids at school were relatively fine about my hair loss, although a couple of girls would say things to me when they were mad, but being so young it didn't bother me too much. Then came the dreaded middle school. I tend to think that middle school is just some evil place where kids like me go to get eaten alive, but I guess that's just my experience. At the beginning of 6th grade I had lost both my eyebrows, but thankfully the hair on my head was finally growing back. The bullying started slowly and I was handling it as much as I could, but it started to get to the point where I couldn't concentrate in school any longer. I was being called freak and hairless cat, they threw food at me during lunch, would try to trip me, shoved me in the halls and meowed at me. This happened on a daily basis. And what made it worse was that I lost both of my best friends to the bullies: they joined in. From there everything went downhill, I fell into a depression, I began self harming, I stopped eating, and I planned my suicide. This was all at the fragile age of 14. All I could think about were those cruel words playing like a recording over and over. I would come home from school and find horrible messages on my phone or on my social media accounts; there was no way to escape, there was no way out. One night I finally decided to go through with my plan to kill myself, I was desperate to get away from my pain. The only thing that stopped me from taking my life at the very last moment was hearing my sister come home. And it made me wonder how she would have reacted to finding her little sister dead. At that point I knew I needed to fight, and I needed to get help. After going to the school several times throughout the course of three years and getting no help at all, I decided to create a Facebook page. I called it Dare to be Different. There I was able to vent about my experience with bullying and talk to other kids who were dealing with similar issues. At that point I also decided to write a letter to my school superintendent, Dr. Burke. I told him what had been going on and how long I had been dealing with the bullying, and most importantly I told him how his school was handling it! I explained how my grades were suffering due to the bullying and so was my mental health. He came in a few days latter and talked to me. He finally put an end to the bullying by telling those girls if they say one more word to me that made me feel bad about myself they would be expelled! So yes, the bullying stopped, but everything didn't magically get better. Now I was forced to deal with my self esteem issues, my eating disorder and my self harming. I will admit that it took a very long time to put myself back together. But having the love and support of my family and three very special people, Lana Becker, Randi Moxi and Constantine James, helped immensely. My Facebook page is now a non-profit organization proudly called Cam's Dare To Be Different. I also have a website, www.camsdtbd.org. I speak to schools and groups sharing my story in hopes to get through to my peers. My motto is to inspire, empower and educate. I want people to understand how powerful words can be; words can heal or they can kill. I have also gotten involved with platform based pageant, and won the title of Miss Teen Illinois International 2014 and I am currently Miss Huntley 2015. My story has been featured in numerous newspapers and magazines, which helps me gain exposure and, in turn, help others. I've also won several awards including The Everyday Hero Award in 2015. My story is also featured in two books: Head On Stories of Alopecia and Bullying is No Laughing Matter. I'm also in the works of writing my own book that will feature 21 other boys and girls who also suffer from Alopecia. I'm happy to say that I am once again a high honor roll student at Huntley High School, maintaining a 4.0. As a junior, I enjoy taking honor and AP classes to push my self academically. I plan on attending a university in the fall of 2017 to study Psychology! My goal is to touch as many lives as I possibly can. I want people to understand that everyone is different and that being different is not a negative thing. With the help of my family, my friends, all of my supporters, and God I have been able to achieve so many things I thought were impossible. I feel incredibly blessed to be where I am today, and I can't wait to see what the future has in store for me. 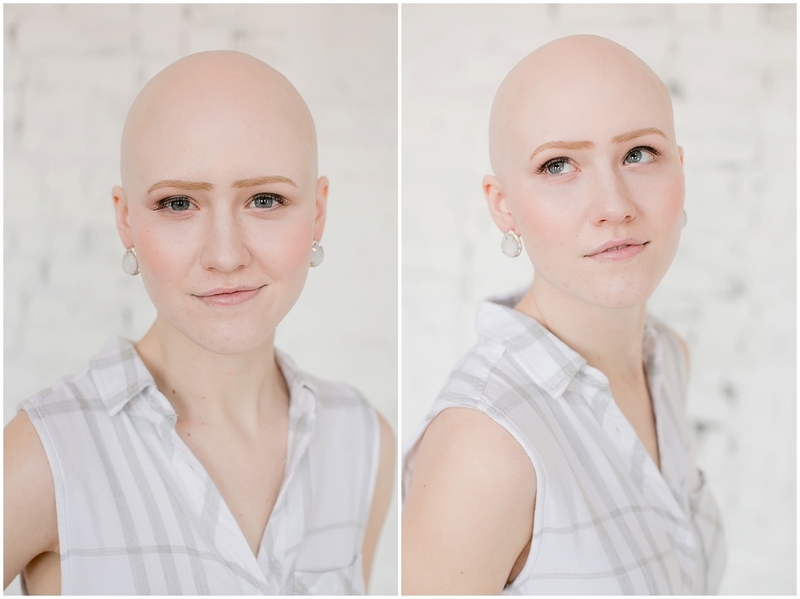 Losing my hair for the second time was not nearly as bad as the first and even though I am bald, with Alopecia Universals, I know that no one can ever make me feel inferior without me allowing it: and that is something that will never happen again. I finally found my passion, my purpose, my destiny. My name is Caroline Alanis. At the age of 4, I lost my hair to Alopecia Universalis (AU). For those unaware of this condition, AU is an advanced form of alopecia areata. Although the exact cause of AU is unknown, it is thought to be an autoimmune condition in which an affected person's immune system mistakenly attacks the hair follicles. Growing up bald was not easy. Although I had parents that tried to show me how to be courageous and tried to show me just how beautiful and blessed I was, I still had to endure the everyday pressure of life. There was the pressure of seeing little girls with beautiful hair and wishing every day that I had that. There was pressure of kids being mean and pulling off my bandana and laughing at me because I was bald. There was pressure of name calling and bullying. My parents finally convinced me to start wearing a wig. It didn’t make things that much easier. I remember walking home from school one day with my brother and a girl decided it would be fun to pull it off and throw it on the ground. At that moment, all I could do was cry and run home. Every day I feared leaving the house, the emotional scar is unimaginable. I learned how to hide my AU. I felt as if people wouldn’t accept me for me so it became my secret and only my family and those I truly trusted, which were not many, knew the real me. In High School only a few knew about my AU. This made it so easy to try to blend in; I never wanted to stand out, never! The ironic part about it was I would always be the one to be called by teachers to lead a project, to sing solos, participate in plays, fashion shows, and they even nominated me to join homecoming queen and enter a beauty pageant. One thing I realized, my fear never really went away by keeping my AU a secret and the emotional scar was also still a part of my life. When I started my family, my AU was not only my secret but it had become my husband and my children’s secret. 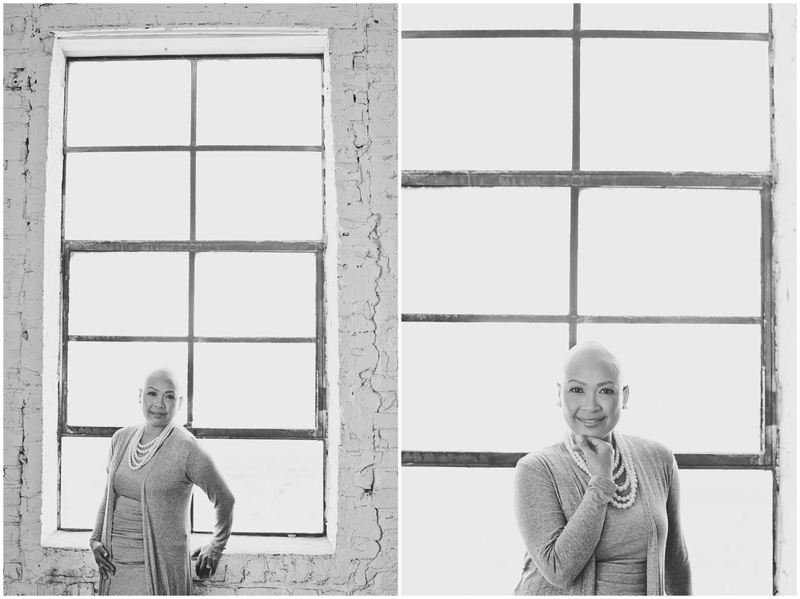 I held my family bound to my alopecia. When they were infants, I wouldn’t carry them in public for fear that they would pull my hair (wig). They were taught never to touch mommy’s hair ever! They could never have friends sleep over because it would be very uncomfortable for me to be me in my own house. I am now 48 years old; married with 3 beautiful daughters. I joined an International Alopecia Group in July 2015 and that's when I realized my journey with AU has prepared me to be able to help others like me. But my baldness was still a secret. How do I encourage others to accept themselves if I myself could not let people know about my condition. So I started telling my husband's family and friends. I only wanted to tell people, not show people. But of course, God had other plans for me. The oddest thing was I started becoming uncomfortable wearing my wigs. This was strange because I have been wearing them for 40 years. It took a lot for me to take a look at myself bald. How can I tell my children and others that beauty really lies deep within if I myself can't see passed my lack of hair. My husband helped me with my small steps into seeing myself for who I was, a beautiful woman living with AU. Slowly I found myself no longer wearing my wigs. We would go on drives, take walks on the beach and even take a selfie. I felt free, my secret slowly fading; including the emotional scar. It started getting cold and I didn't like my hats since it looked terrible without any hair. I was pretty sad, because I really did not want to start wearing my wig again. I just prayed and asked God to lead me in what I am supposed to do. On Sunday October 4, 2015, a lady stopped me and said. "Excuse me, can I ask you a question?" I said "sure." "Do you have alopecia?" I said "yes!" She said "so do I.” Then she asked. "How do you do it?" I knew she meant how am I walking around without my wig? I told her "I don't know?" I said "This is all new to me." I told her "God is giving me the strength to do this. I couldn't have done this on my own." So that day, I officially retired all my wigs. Yes I put them all away for that special occasion. I was so fortunate enough to meet others just walking around bald. They said “I would have never seen you had you worn your wig." How can I reach others if I am not true to myself? It took a lot to accept myself, with lots of guidance from God. I am finally in a place where I no longer need to wear a wig to feel complete! Although growing up with AU wasn’t easy, as I look back, it has made me appreciate everything I have in my life. For the longest time I never realized how bound I was by my secret, my emotional scar and my wig. Now, I no longer hide behind my wig. I am living with AU and you could say that I’m proud that I can say that and show people that I am still beautiful without hair. Now when I tell my daughters it is just hair, it is not just talk, I actually walk the walk. 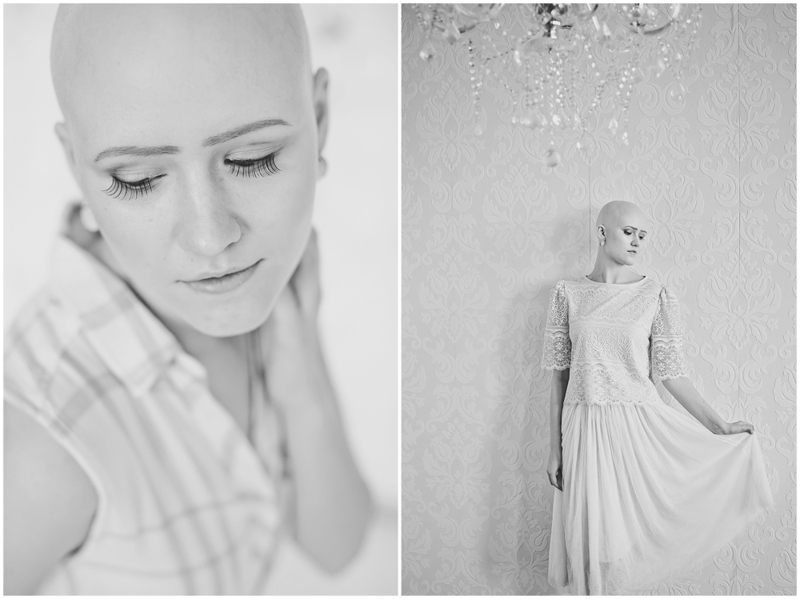 I used to think my lack of hair was an imperfection; I know now that it is my strength. I am no longer afraid of not having my wig on. It was my armor but I was meant to stand out not blend in. God has always wanted me to stand out, now I am no longer afraid to stand out. I embrace it. And I am meeting and connecting with others who are just like me. To all the parents who have children with alopecia, I can only imagine how devastating it is for you. But I must admit, I had great parents who never showed me their heartbreak. They only kept reinforcing I was blessed and special. 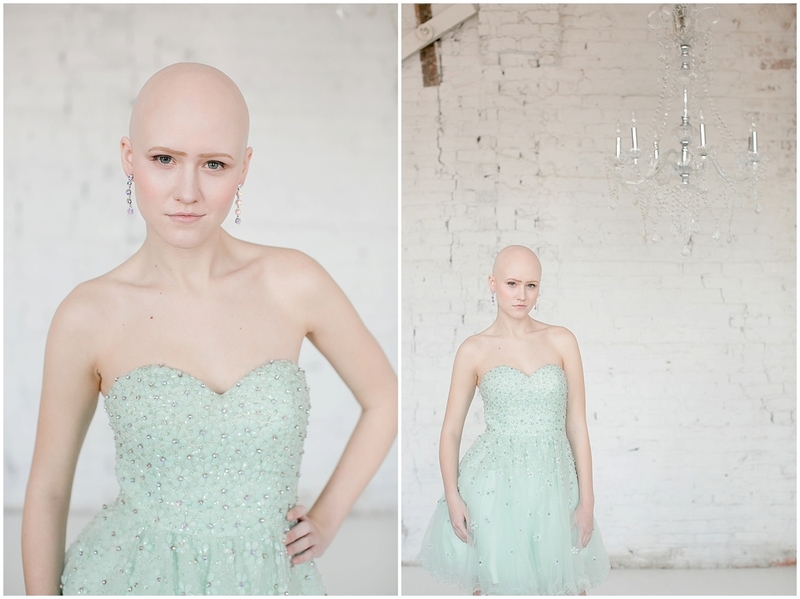 Alopecia children grow up to be strong. Let them shine! For all the ladies and gentlemen, you are not alone. I know it can be difficult to not have hair but I can honestly say now, I wondered why I waited so long to surrender to alopecia! I understand that our struggles are the same but our journeys are different. So whatever makes you feel comfortable to be you, wig or no wig, let it be your choice. We only have one life to live, so live it!